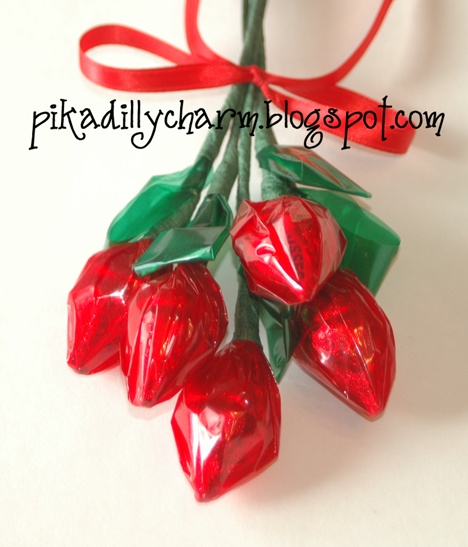 This is a fun and simple way to make roses! -First cut your red cellophane into 4x4inch squares. -Fold your wire in half leaving a bit of a circle in the end. -Put two chocolate kisses back to back. -Place the tip of one of the kisses into the center of the red cellophane and wrap it around both kisses. 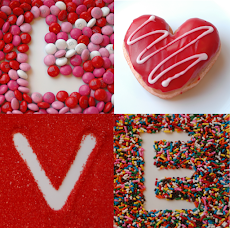 -Place the rounded end of the wire inside next to the kiss on the the bottom. -Twist the red cellophane around the kisses and the wire. 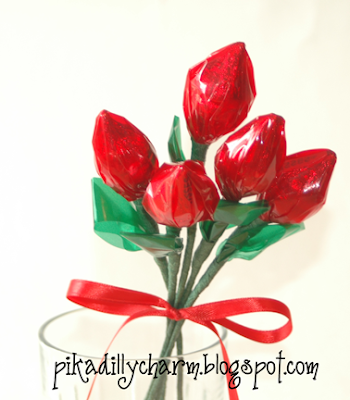 -Use the floral tape to secure the cellophane to the wire, starting at the tip of the bottom Chocolate kiss. -Wrap the floral tape all the way down the wire. -Next, cut a 2x4 inch piece of green cellophane. -Fold it in half horizontally first, then vertically. -This is going to be the leaf. -Place the open end of leaf about 1 1/2 inches below the rose. The folded end should be up by the rose. -Use your floral tape to secure the leaf to the stem. -Rip off tape about and inch below the leaf. -Add a little character to your rose by curling the end of the stem around your finger. Make a dozen roses and wrap them up or display them any way you want! My mother made these about 13 years ago from 2 of my brothers for the "dates" to a middle school Valentine's Day dance. Years later one of my brothers asked her to make a dozen for his Jr. Prom date and the girl just couldn't get over how unique and wonderful it was. My daughter used them for wedding favors. The guests loved them done in her wedding colors!